Use inbound telemarketing services to convert incoming calls into sales. Get more results from every inbound call with our savvy cross-selling and upselling services. 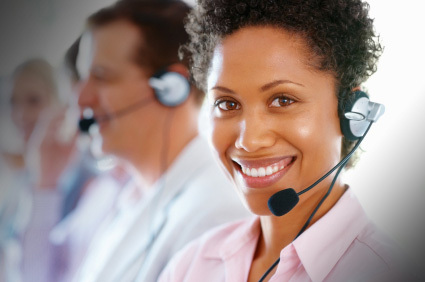 Inbound Telemarketing is sale of products or services to people who call a phone number in an advertisement or website. Inbound Telemarketing and outbound telemarketing are both elements of the inside sales marketing process. Inbound telemarketing may include up-selling or cross-selling related products and services. Incoming calls can come from many sources including catalogs, direct mail, DRTV, emails, faxes, print, radio, text messages, voicemail and websites. No matter the response vehicle, get more results from every inbound contact with our savvy cross-selling and upselling telemarketing services. Integrate inbound telemarketing with your CRM. We can help you to identify top buyers and prospects by examining purchase patterns. Use interactive voice response (IVR) to identify customers and sales prospects. Our agents then provide them with targeted offers. Let Us Help Make Your Inbound Telemarketing Program a Success! To make your inbound telemarketing campaign a success requires a combination of careful planning, scalability and flexibility. AnswerNet will consult with you to devise a customized inbound telemarketing program that will handle a realistically projected call volume. Our project management staff works closely with you to carefully script calls to streamline the inquiry/order process and maximize conversions. All inbound telemarketing programs include scheduled meetings throughout the campaign to review and, if necessary, revise your program. AnswerNet can handle your inbound telemarketing program from start to finish, 24/7. Choose between full-time, overflow and weekend/after-hours support. Make your inbound telemarketing program one that your customers will remember with our toll-free vanity numbers. No matter what size or scale, we have the experience to handle your inbound telemarketing campaign. Hundreds of companies, including leading businesses, charities and celebrities, have chosen AnswerNet to manage their inbound telemarketing programs. Our network also provides you with backup sites so if a disaster strikes one center, another can take or make your calls. Sell your products and services on the Web? AnswerNet can enter orders directly into your existing e-commerce web forms. Your orders arrive to you in real time, ready for fulfillment. Don’t have an order entry system in place yet? We can design and customize one for you. Our scripting and IT experts let you concentrate on the other aspects of launching your inbound telemarketing campaign. When you need us to make inbound telemarketing happen, AnswerNet is there to answer your calls. We are available 24x7, 365 days a year. By responding to all customer calls promptly, no matter how busy the phone lines get, AnswerNet can turn your promotions into inbound telemarketing. Whether you are anticipating 1,000 calls or 10,000; whether you are running a local spot or a national campaign - we are standing by to capture each order, donation or pledge. Our agents quickly and accurately enter all the information needed to turn each request into results using our web-based or customized order entry software. Make inbound telemarketing happen face-to-face with product demos and sales visits. AnswerNet’s inbound telemarketing agents qualify leads and set up meetings between hot prospects and your sales teams with our online appointment scheduling system or yours. Ensure your inbound telemarketing program will keep customers for a long time. AnswerNet’s staff are trained to answer customers’ questions about your products and services pre-and post-sales. We can also provide help desk services including problem resolution, opening trouble tickets for your support staff and paging/dispatching field reps.
Let us show you the money from inbound telemarketing. AnswerNet offers a variety of credit card processing solutions to fit your specific needs. Using a secure bank routing number, we transfer funds directly into your account. This frees your staff from administrative chores and speed up your cash flow. Marketing to recent immigrants and international customers? AnswerNet has agents fluent in Spanish and French in our centers and in many more languages via our translation partners. Have hearing-impaired customers? Our TTY service connects them on your behalf. Deliver the results of your inbound telemarketing program! Call AnswerNet to warehouse, process, and deliver products and literature quickly and reliably. Our fulfillment facility is in easy trucking distance of 6 of the 10 top U.S. markets and two major airports. View your inbound telemarketing transactions and receive detailed information via AnswerNet’s easy-to-view and easy-to-use customized reporting packages, included with all our inbound services. Obtain critical data in customized daily, weekly, or monthly reports, faxed or emailed directly to you - or view in online in a web based portal.